>In the despair of a Japanese POW camp on the Thailand - Burma Death Railway in 1943, Australian surgeon Dorrigo Evans is haunted by his love affair with his uncle's young wife two years earlier. His life is a daily struggle to save the men under his command from starvation, from cholera, from pitiless beatings - until he receives a letter that will change him forever. I don’t typically review a book until I have completely finished it, but the flurry of fairly negative reviews prompts me to jump in early. This book is a masterpiece, and the performance (it’s not fair to call it a mere narration) is similarly spectacular. I’m a Brit by birth so was brought up on the mystique of Henry and his infamous six wives. The rhyme of the ends of their lives; divorced, beheaded, died, divorced, beheaded, survived is beaten into us at a young age. So maybe I’m not tripping over the historical context as much as other readers. I’d really recommend taking a couple of minutes to review a few Wikipedia articles on the king and his times before diving in if this period is a mystery to you. That sounds like work…but it’s worth it. 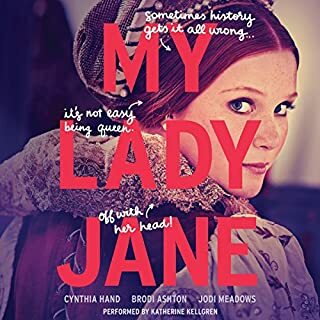 If you can get past the basic Tudor names and events you will greatly enjoy this immersive hypnotic story and its telling. The period was so formative of our modern world, the break from Rome and the reformation all had roots in years covered by this story. The characters are fascinating, well drawn and beautifully performed. Before this story Cromwell and Cranmer were drab outlines, this telling breathes life into them making the tumultuous period live and vibrant. If you enjoyed Game of Thrones on HBO or pretty much any historic fiction you will love this book. Even if you aren’t a fan of Brit history and royal dictators your will find this beautifully told tale will take the head off your shoulders…. 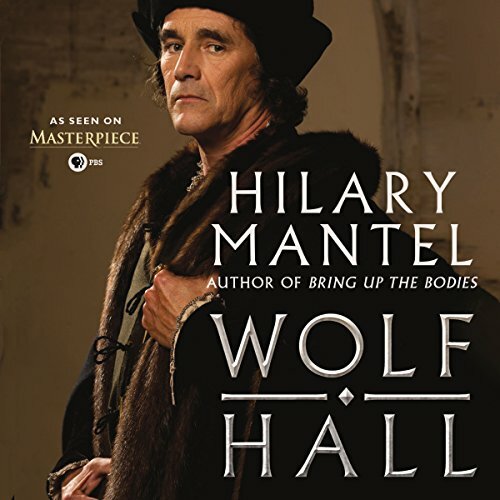 I had already read and enjoyed Wolf Hall, but wanted to experience it through a narrator as well. I am so glad that I did! 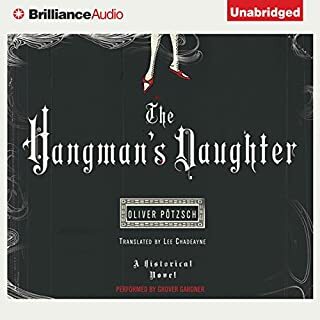 This is hands down, one of the best audiobooks in my library. Simon Slater is a marvelous narrator. Although it took me a little while to get used to his 'Cromwell' voice, it made me feel as if I actually was getting to know the man. For those unfamiliar with the story, Cromwell is the protagonist and it shows him as a man who is caught between beliefs and the king and with a huge desire to protect his family, pay back the nobles who brought down his beloved master Cardinal Woolsey and to advance and safeguard his country. In most histories, Cromwell is shown as a scheming, grasping man and Thomas Moore, despite the atrocities he committed in the name of his religious beliefs is almost always shown as a saintly character. Not so here- Moore is a sanctimonious academic snob who bullies his household. Cardinal Woolsey is a wealthy and satisfied prince of the church before his downfall, but also kind and wise. Simon Slater's voices for ALL of his characters are wonderful, but he outdoes himself with Moore and Woolsey. I cannot recommend this book highly enough if you are interested in history, religion and politics and learning the many different viewpoints of this time period, as well as a wonderful slice of how life was lived in the 1500s in England. Simon Slater is such an excellent narrator- I will be seeking out his work on other books. His voice, coupled with the excellent writing made me fall just a little in love with ugly Thomas Cromwell! I am a fan of all things Tudor, so had consumed many fiction (e.g. Phillipa Gregory) and non-fiction (e.g. Jane Dunn) about Henry VIII and his offspring. This book is different from any I have read before. This is not just another bodice-ripping period piece like Showtime's The Tudors, it is actually beautifully written literature. A warning though, it may be difficult to keep track of the many characters without already being familiar with King Henry's court during the time of his separation from Katherine and marriage to Anne Boleyn. Excellent book all around! 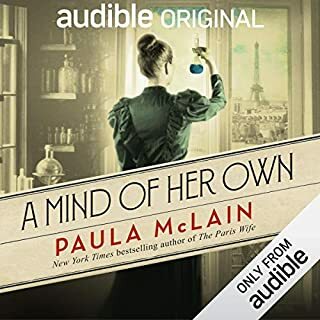 I did end up listening to this book on audio because I had a hard time getting into the print version. The Narrator Simon Slater was excellent and his mastery with all the different voices helped keep all the characters straight. If I were rating just the audio quality it would be a 4 - 41/2.Will be seeking out what else Simon Slater has narrated. One would think that I would be tired of reading/listening titles from this general era, there has been so many viewpoints and interpretation surrounding King Henry VIII that a casual reader would find themselves somewhat confused as to how to perceive all of them. That being said this is an interesting take on King Henry VIII's story. Taken from the vantage point of Thomas Cromwell, seen to most as ruthless and cunning, it gives a great back story of who he was as a person. It is easy to read about these men in history and paint them with the broad brush of just being corrupt, spiteful or just plain evil, forgetting that they themselves might have virtues themselves. In the story of anyone's life they commonly never see themselves as the enemy or the ultimate evil in the story. They sometimes really do feel completely justified in their beliefs or are under the impression that the ends (in this case the reformation of the English Church) does justify the means (the fall of the good Queen Catherine of Aragon). It sheds light into his back story, the whys of his character and the hows in him becoming the men he inevitably did become. You see him rising to power, you come to terms with the decisions that he has to make, the tragedies he had to endure and the maneuvering he has to do to forever stay in the good graces of a rather moody (to use the term loosely) and spoiled King. The narration was excellent here, I thoroughly enjoyed the performance. It wasn't flawless by any means (flawless narration came in Dead Bodies, the second book in the series which is narrated by Simon Vance) but it did the book justice. Coupled with the masterful storyline, listening to this title was a breeze. Brilliant. This is one of those rare novels that hits me on almost every level. The writing is crisp, deep and unsettling all at the same time. The narrative leads without pushing. Its prose sings but never strays into cliche. Every thread and sinew of this novel seems destined to weave into the body of this story's tapestry. Mantel is able to invert the standard feelings and assumption about everybody. Moore, Cromwell, Henry VIII all become more than characters in this historical fiction. They become epic myths; giants of time and space. Mantel is able to stretch and mold her characters into places where they seem to inhabit zones usually reserved for saints and devils. She gives us both saint AND devil with Moore, Cromwell and Henry VIII. Seriously, if you haven't read or listened to this novel, put down what you are doing NOW and pick it up. Simon Slater does a brilliant read of this novel. He is able to give each character their own distinct life without overwhelming the narrative. Top shelf. The narration of this book is amazingly well done-all kinds of accents and characters. I love the reading almost as much as the book. Yes, if you are not familiar with all the characters of Henry VIII's reign, you might have trouble following-wikipedia a bit and you'll get a better picture. But I believe with a little work a novice can enjoy this book utterly. And if you are a Tudor history buff, this book is a special delight. Hillary Mantel has put together both a literary and historical fiction novel. The writing and research are top rate-no wonder she won the Booker. She really gets inside these people's heads and the dialogue is far from trite and ordinary-her research on the culture of Tudor England shows through- what people read, ate, wore, thought, the city landscape, all very memorable. This is no light weight novel. 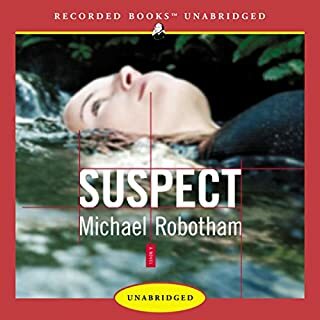 I recently finished this audiobook. As many of the reviewers have noted, this is not an easy book and requires some attention, especially in the beginning. But I found that by persistence I was able to learn the characters (the reader's voice was very helpful in this regard) and was able to follow the action fairly easily. It does give a unique slant to Thomas Cromwell, usually portrayed as a man of pure evil. The author feels that Cromwell was essential to the making of England as a modern state and also, that he had a human side. 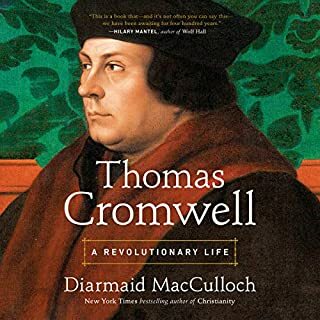 She reverses the roles of Cromwell as the man of principle and Thomas More as the man who abused the power of the state to kill his enemies (those who wanted to translate the Bible into English and other Protestant activities.) It was a fascinating book. The reader is excellent throughout, up there with the top 2 or 3 I have heard. Hilary Mantel has created an entirely evocative and compelling portrait of Thomas Cromwell and the historic figures with whom he rubbed elbows, strategized and connived, and did the King's bidding. He is depicted as a highly complex character, worldly and pragmatic, intelligent and cunning, and very much in control of his corner of the world. The sensibility is very modern although the depiction of Tudor England is convincing and detailed. What I most appreciated about this book - in fact loved very much (apart from the unique perspective it takes in presenting the story through Cromwell's eyes) was Simon Slater's brilliant reading. It is spot on in terms of how he gives voice to each of the many characters, and the timbre of his voice is perfectly in sync with the rhythms of Mantel's writing. This is by far one of the best matches of narrator's voice and story that I've yet listened to. The story is dense with interweaving lives and dramas and a long list of characters, so that keeping track of all of them is a challenge. I referred to the physical book throughout the entire period - several months - when I was listening to it on my drive to and from work. 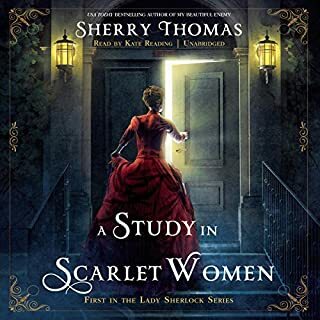 Now I've begun listening to it a second time, with the characters more clearly identified and organized in my head, and with their stories more understandable. This book is an achievement on many levels and it's clear why it won the Man Booker Prize. If there were Academy Awards for "best narrator" Simon Slater should get it. He "acts" the voices in a way that's almost cinematic. In fact, throughout I found myself seeing the story as film, and hoping that one day I'll be able to watch it as a multi-part Masterpiece Theater series, or something like that. It'll no doubt see the big screen as it deserves to. This may be the best audio book I've ever listened to--in 30 years, first as a commuter, now as a walker. "Historical fiction," but really--intrigue in the highest places, brilliant dialogue, a revisionist's admiring portrait of a powerful man usually viewed as cruel and manipulative. The reader is unparalleled: if you are going to paint a dark portrait of a revered man, Thomas More, what a brilliant stroke to give him a piercing, slightly nasal voice for his cruel repartee.